Next month, Joindots will be bringing Bridge Constructor Playground to the European Wii U eShop. A recent listing on the store states that the title is planned for release on December 8. Like the title suggests, Bridge Constructor Playground is a game about bridge building. In it, you can create your own bridges over deep valleys, canals, and rivers in over 30 different levels. Below you can find the official overview of the game and a trailer showing off how it plays. Bridge Constructor Playground offers people of all ages an introduction to the topic of “bridge building”. This game gives you the freedom to let your creative side run riot – nothing is impossible. Across 30 innovative levels you have to build bridges over deep valleys, canals or rivers. Following this your bridges will be subjected to a stress test to see whether they can support the weight of the cars and/or trucks which drive across them. In comparison to the #1 hit Bridge Constructor, Bridge Constructor Playground offers an even easier entry to the game including an extensive tutorial. With no fixed budget, and next to no limitations on building materials, there are almost no limits: you can build and construct to your heart’s desire. Here you are free to do as you please and let the time fly by with creative bridge building. Experienced players will enjoy the challenges of the new badge system: for every bridge there are 5 badges to be won for which you must fulfill certain requirements. For example, building a bridge that can carry no more than a certain load limit. All of this, paired with a bright and friendly look, makes Bridge Constructor Playground an exciting and also educational experience for the whole family, offering hours of gaming fun. Spheroids, a new 2D side-scroller by Eclipse Games, will be making its way to the Wii U eShop on January 5. A 3DS version is also in the works, and will be released at a later time. You can find an overview of the title and a story trailer for it below. Spheroids starts with Lucas, an introverted and a bit jumpy Canadian boy, goes to Otto’s garage. Otto is a crazy paranoic genius scientist that’s been years studying a possible conspiration to hide the existence of alternative universes to the cubic world they live in. When Otto appears he comes screaming that he was right, that the invasion is real. It’s happening all over the world. The player will take control of Lucas to try to stop that invasion and save humanity of these dangerous aliens: the Spheroids. Throughout the 32 levels in the game Lucas will have to run through different environments full of platforms to negotiate, hazards to avoid, and different enemies to destroy with the help of the ‘modified-drilling-hook’ Otto lends him, as well as other unusual widgets he’ll provide throughout the adventure such as a grappling hook and some gravity-inverting boots. Spheroids is a 2D sidescroller that mixes mechanics from classic platformers such as Super Mario Bros or Umihara Kawase with ‘combat’ sections inspired in Pang! (or Buster Brothers), within a comical science-fiction setting inspired by films and series such as Futurama, Rick & Morty, Ghostbusters, Back to the Future or Spaceballs. Alonso Martin has shared a new video for Heart Forth, Alicia that shows off the latest alpha gameplay. In it we get a look at what combat and exploration looks like in the game. Apparently the game is still on track for Wii U too, and should be released sometime next year. Check out the video update below. 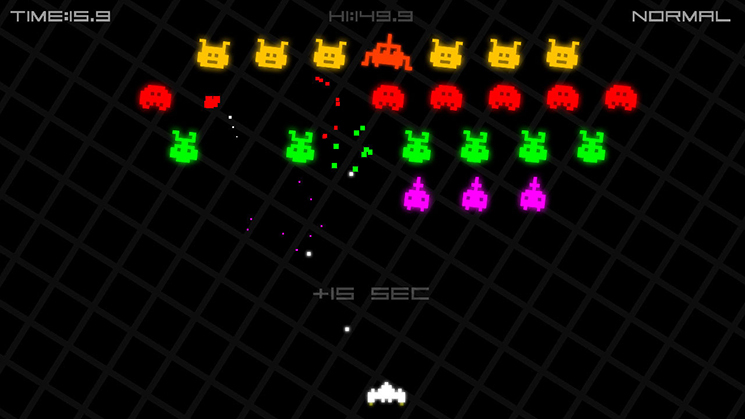 Petite Games has now confirmed that a 3DS version of Super Destronaut is in the works, dubbed Super Destronaut 3DS. Super Destronaut 3D looks and plays really cool on the 3DS! More info coming soon! 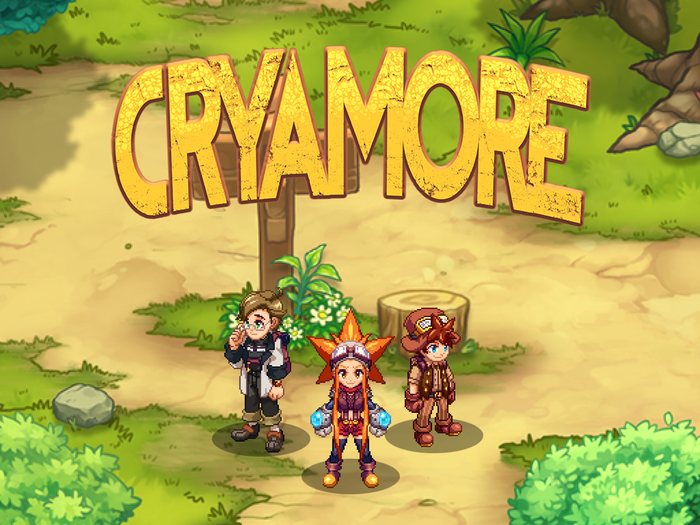 The team behind Cryamore is starting to reach the end of development, and is now looking to ensure that Kickstarter backers properly receive their rewards. When it comes to Nintendo platforms, the title is still coming to Wii U, and no Switch version is currently planned. However, NostalgiCO has said in a Kickstarter update that even though the team doesn’t have any plans to support Switch, if anything changes, backers who completed a survey will be able to message the team to modify their preferred platform. 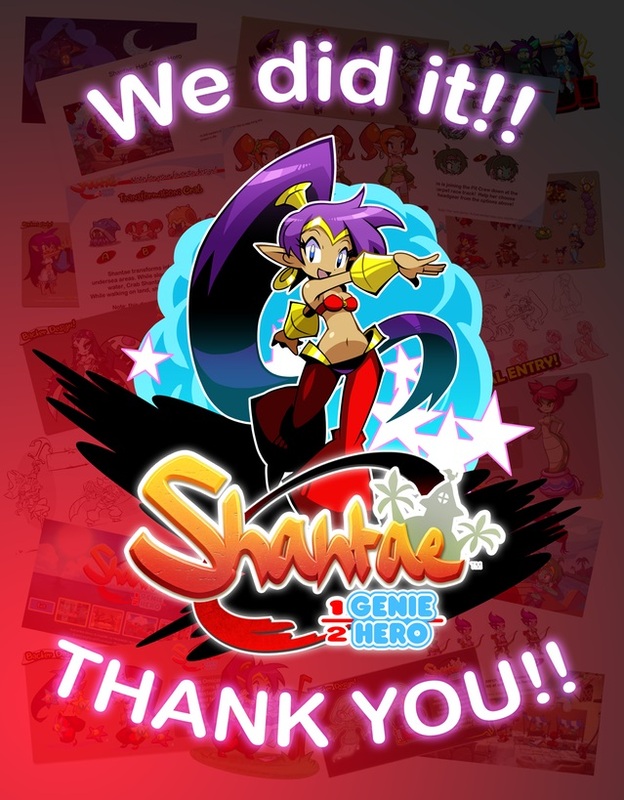 “We’re excited beyond human comprehension to tell you the news… Shantae: Half-Genie Hero is done! Did you hear that correctly?! We know, right? It’s crazy! Wow!!! WayForward says it submitted Shantae: Half-Genie Hero to all console makers, including Nintendo. They’re still planning a global release date, but it will be shared the moment it’s determined. Five games from Circle Entertainment are currently on discount on the 3DS eShop. Until December 1, Fairune, KAMI, The Legend of Dark Witch, Tappingo, and Witch & Hero, can all be downloaded for just 1$. 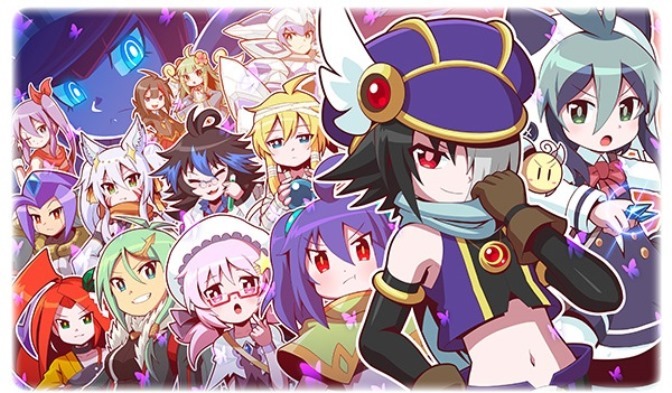 Circle Entertainment has now released a new trailer for Brave Dungeon, the new side story connecting to The Legend of Dark Witch, set to launch on the Japanese 3DS eShop this week. You can watch the trailer below. Octocopter: Super Sub Squid is now out in the Wii U eShop. You can find a trailer for the game below. Circle Entertainment recently released Touch Battle Tank – Tag Combat on the North American 3DS eShop, and the European version should follow soon. For now, an introduction trailer has been shared, which you can find below. Below you can find some gameplay footage from a couple of Indie titles, in this case Mekazoo and Exile’s End. Enjoy!